The following highlight a number of projects I’ve completed in the areas of marketing, place branding, visual creation, writing, design, and instruction. Collectively, they demonstrate how I’ve merged my diverse skills and interests into a multidimensional career that allows me to think strategically and creatively about projects. During a semester-long community partnership with Skyline Literacy, I worked closely with the non-profit to conduct an intensive needs analysis and create communications and marketing materials that responded to the organization’s current needs. The resulting projects included a strategic marketing plan, a full photo gallery for marketing and promotions purposes, several web stories, and a collection of social media posts. The final report—which discusses the analysis process, the projects, and the proposed marketing plan—can be found here. 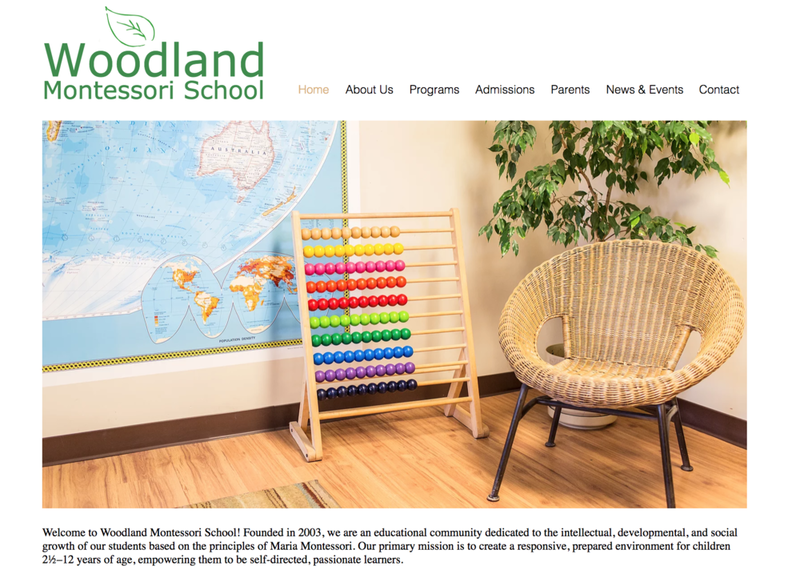 I partnered with Woodland Montessori School in a rebranding and website redesign effort. This project included writing web content, revising and updating informational and instructional materials, and creating more multimodal web components, including an online video. 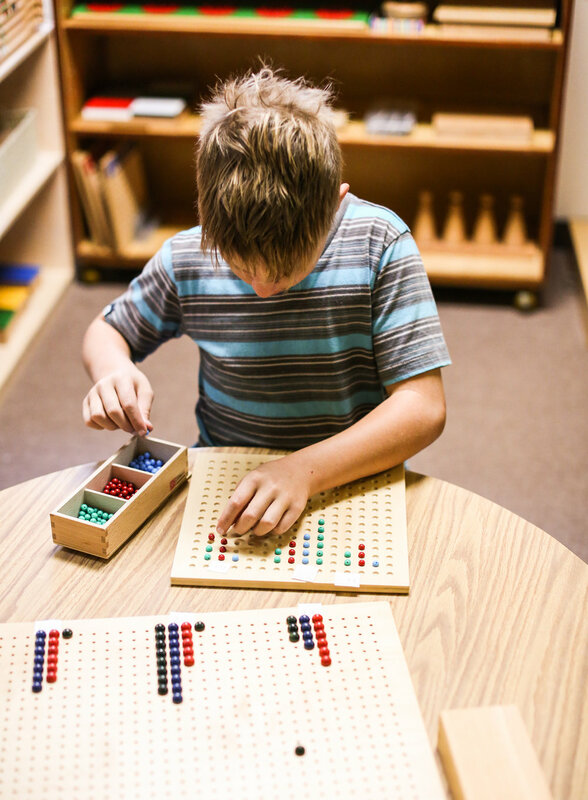 The school had previously been relying on paper and email correspondence with parents, so this project also included updating the communication efforts. 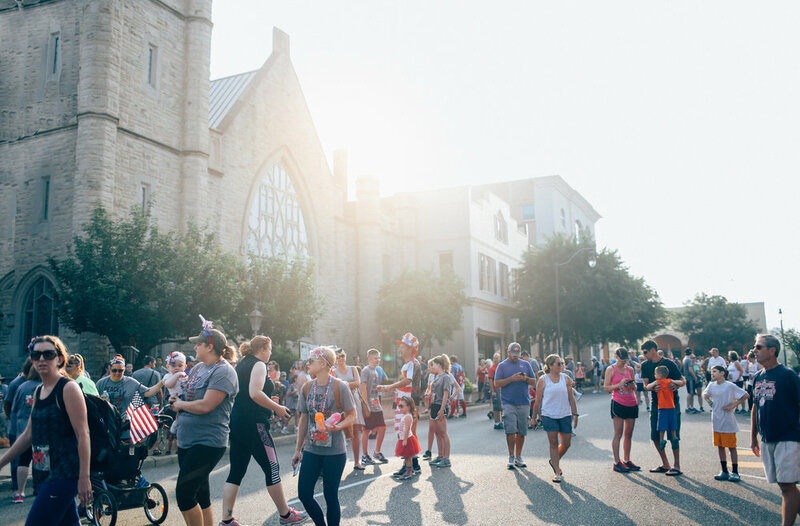 This mixed methods research study seeks to address a gap between the emerging field of place branding and the field of rhetoric in the United States. As a term used mostly in Europe, place branding is the marketing of places through the creation of a brand image—intended to capture the unique values, beliefs, and meanings of a particular place. Because of the shift away from a typical marketing approach to a wider brand vision, the place branding process raises rhetorical considerations; however, the study exists outside and separate of the rhetorical discipline. This study, therefore, attempts to bridge this gap and incorporate the term into an American case study of Harrisonburg, VA. Through a sequential transformative mixed methods approach, this study analyzes the existing brand image of Harrisonburg. The entire research project, which was completed for a graduate course, can be found here. The interconnectivity between text and visuals has deepened with the rise of technology and the ever-evolving absorption of text to screen, which is now almost always accompanied by visuals. But the question remains, are there rhetorical spaces and instances in which one method is arguably better, and how would this answer influence how we live within each world? The complete academic study and literature review can be found here. For over two years, my photography business has allowed me the opportunity to work with and forge relationships with a number of community businesses, nonprofits, and families. I have had the honor and privilege to witness and capture the amazing work being done in this community, and the wonderful people who inhabit it. These experiences have only fueled my passion for visual storytelling and have led me toward a career in community-centered work. Linked below are several examples of community-centered articles I wrote for local publications. “Blazing a path: JMU played host to microbiologist’s promising career,” Madison Magazine, Fall 2018. “Honors: Worth the challenge,” Madison Magazine, Spring/Summer 2018. “No Place Like Downtown For The Holidays,” Daily News Record (Harrisonburg, VA), November 23, 2013. “Back In Jacktown", Daily News Record (Harrisonburg, VA), July 18, 2013. “The votes are in,” Rocktown Weekly (Harrisonburg, VA), February 14, 2014. “Happy Trails,” Daily News Record (Harrisonburg, VA), December 20, 2013. “Lifelong learner,” Bloom (Harrisonburg, VA), Fall 2017. “UWC-ELLS Collaboration Benefits Learning Centers, Tutors, Students",” UWC Monthly, James Madison University. Below, you can find examples of my design work—for both informational and instructional purposes. 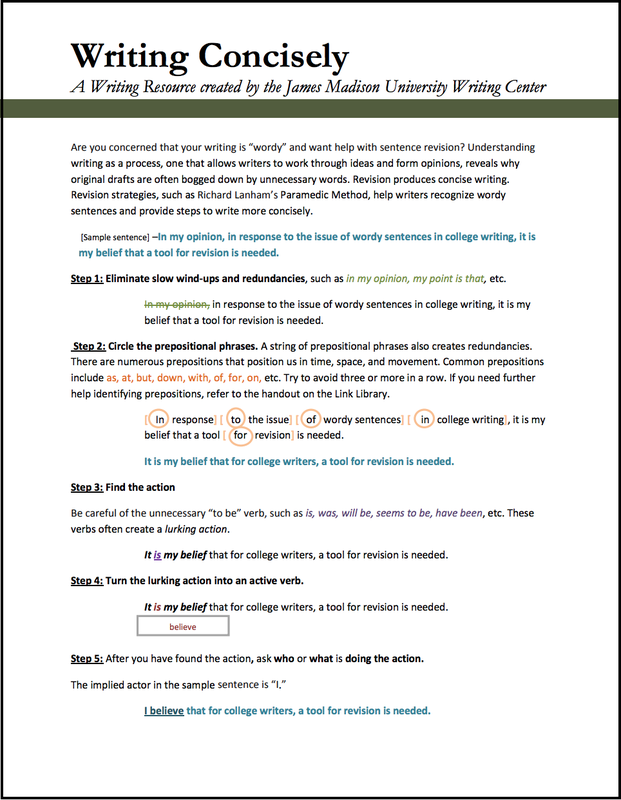 This informational handout and practice sheet was developed in conjunction with other instructional handouts for the University Writing Center at JMU. Intended to address the issue with wordy, overly complicated sentences, this instructional handout discusses the steps of the Paramedic Method and how to identify and revise wordy sentences. In order to teach a class about white papers, I created a quick guide to what reports should include and the tone they typically take. This design-centered, informational guide was intended to be a brief introduction with quick tips and basic steps. My graduate education and professional experiences have allowed me to study and practice instructional design, while refining my skills in creating compelling and interesting instructional experiences for others. My past projects include online, multimodal education, as well as face-to-face and hybrid courses and workshops. Below are some examples of my instructional design work. The University Writing Center (UWC) at James Madison University has seen an influx of clients coming to the writing center for help on rhetorical analysis essays assigned in their first-year writing classes. I partnered with the UWC to address the need for additional learning materials to aid in the instruction and support of teaching and tutoring rhetorical analysis assignments. As part of the project, I completed a needs analysis and created a design document and project plan, which you can find here, that was guided and approved by the stakeholders; the final project took the shape of an online learning video and an interactive quiz.